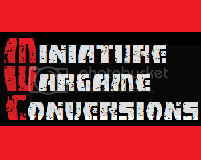 I've had this post on the back-burner for a while, but it has been made especially relevant by Miniature Wargame Conversions recent Pay It Forward giveaway bonanza. It was nearly a couple of years ago when something happened that rejuvenated my 40k model collection. I had been slowly building a Crimson Fists chapter through second hand models. The army started with a great purchase of Space Marine bits that I managed to build about 30 marines from, some bikes and Terminators too. I also used the old Rhino chasis in order to keep costs down. From there it was just a case of private messaging other participants, requesting anything they had on offer. It was up to the individuals as to whether they granted the requests - you could see if people were abusing the system by looking through the sent sections of all the posts. Everyone kept their post up to date, moving items into the correct section and showing who they had sent items to / received items from. There were people who dropped out because of frustrations with abuse, but only a couple - most people including me had only positive experiences. 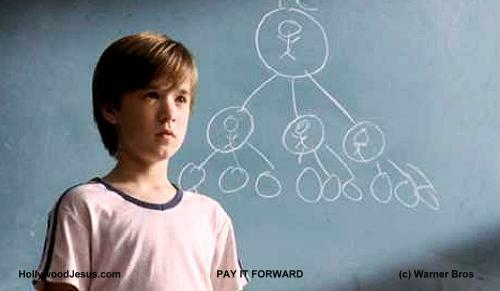 The concept of Pay It Forward Karma arose, with posters pointing to their list of things sent vs their list of thing received. 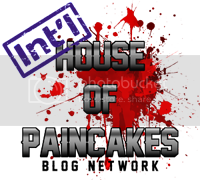 So how about starting something similar on your forum? Of course it's not going to fly on somewhere like Dakka Dakka which has a large and diverse audience, but it will work great on the smaller specialist forums if you give it a chance. The energy and excitement once this got rolling was great to be a part of, and I hope that others out there can share a part of that with their online community.